Coffee by day. Music & brews by night. 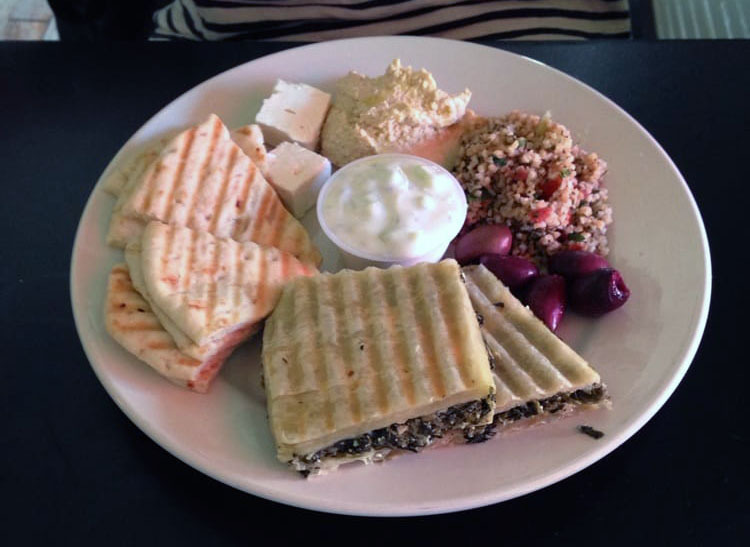 The Meza Plate has all the goodness (including spanikopita, tzatziki, tabouleh + more). Opa! Not feeling that level of Greek? Then you must order a wrap! We highly recommend the Thai Wrap the melding of Asian flavors in your mouth is to die for. 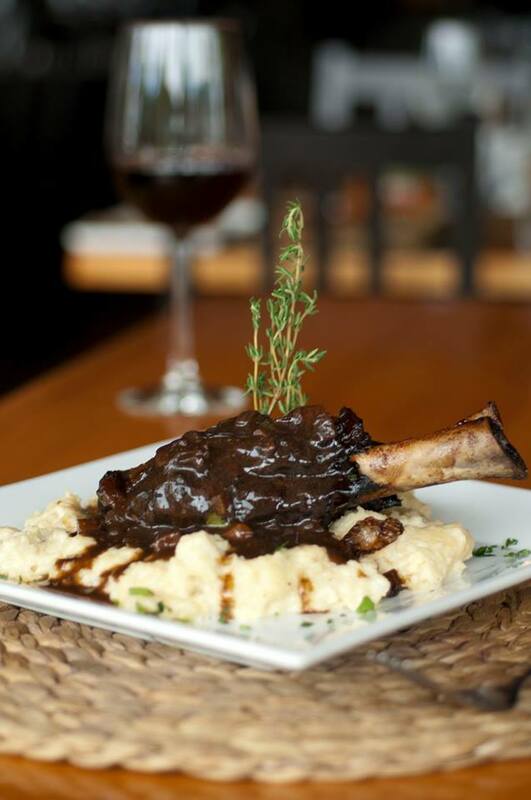 “Rustic Argentinian/Italian artisan cuisine.” Where else can you order Roasted Lamb Empanadas as an appetizer? 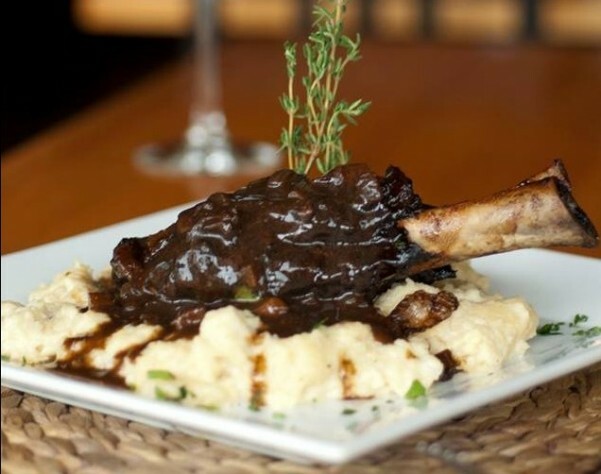 Or dive straight into the main course with their Four Hour Lamb Shank (Ossobucco Style) on a Bed of Creamy Polenta. Mmmmm. You absolutely have to listen to their pairing suggestions, they’re talented at choosing the perfect glass of wine to complement any dish! 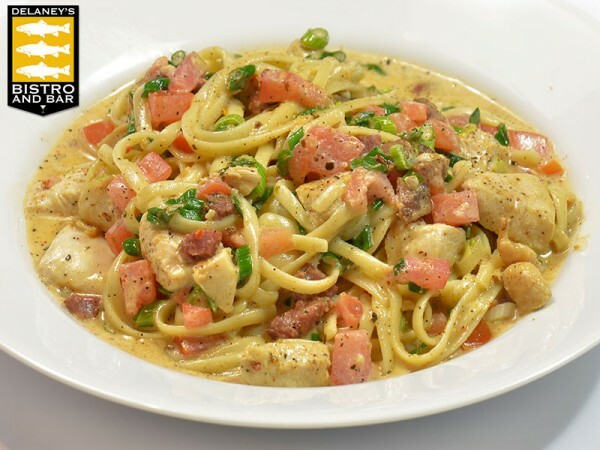 He began as a boxer in New Jersey and he’s broken world records, but it’s the food that will knock you out! Did we mention he can throw the dough? Yeah, total pro. 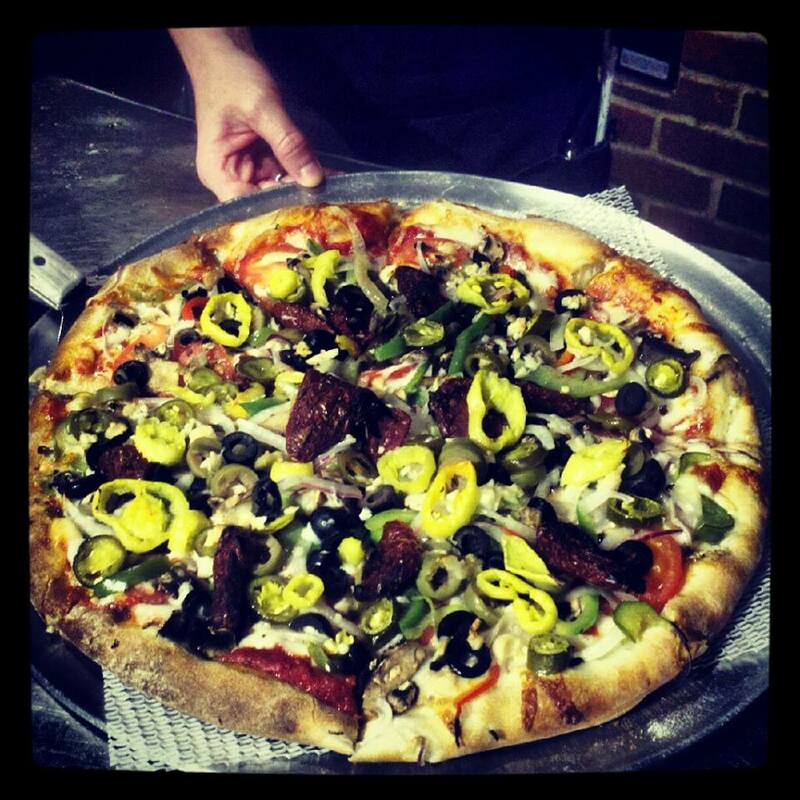 Pizza is obviously delicious, but we also recommend trying the Salzones- only share if you aren’t into leftovers. No list is complete without Mexican food. Ever. Personal favorites here include the chimichanga, fish tacos, and of course a margarita to wash it all down. Did you miss Part 1? You can find our other 6 picks here. 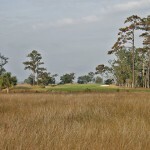 John Plaisant visited The King and Prince in April and wrote his take on St. Simons Island and the King and Prince Golf Course. His article can be found in the Daily Times. Sidney Lanier was a poet, musician and scholar, widely recognized as poet laureate of Georgia. And the Marshes of Glynn refer to coastal Glynn County, Georgia, which includes the port city of Brunswick and those barrier islands known as the “Golden Isles” — St. Simons Island, Sea Island, Little St. Simons Island and Jekyll Island. The winding rivers, unspoiled beaches and vast marshlands of these islands were what Lanier loved and immortalized in “The Marshes of Glynn”, written three years before his death from tuberculosis, which he contracted while a POW during the Civil War. Today, in Brunswick the Sidney Lanier Bridge, a 21st-century suspension bridge spanning the South Brunswick River and the longest bridge in Georgia, is a gleaming sentinel standing watch over his beloved low country. Although Georgia’s coastline is only a hundred miles long, its half-million acres of salt marshes (also known as tidal marshes) constitute nearly one-third of all the salt marshes on America’s Eastern Seaboard. Salt marshes are coastal wetlands, rich in marine life and plants which grow in protected areas behind barrier islands and in other low-energy areas. They often look like grasslands, as the marsh grasses change with the season with shades of green, gold and brown. “In the fall, the marshes look like great waving fields of wheat,” noted local historian Mary Burdell. Some of these enchanting Marshes of Glynn can be found at the northern tip of St. Simons Island, right in the middle of the King and Prince Golf Course, Home of The Hampton Club. In Georgia, where the ghost of Bobby Jones still walks the fairways, golf is more than just a game. 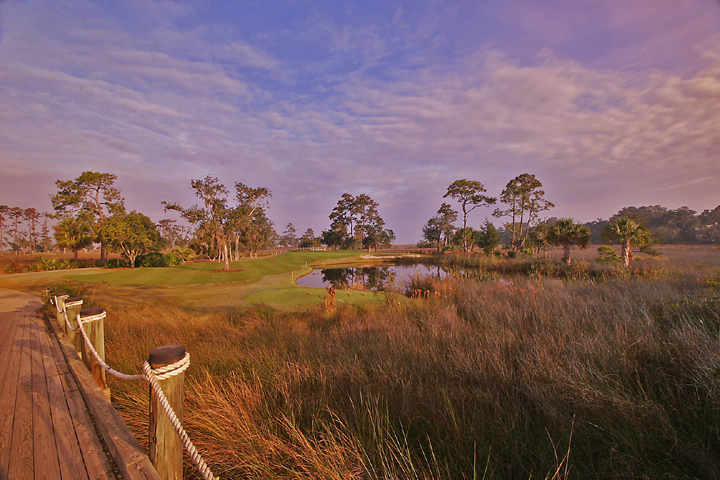 On the back nine, four “signature” holes are situated on “hammocks” — small islands located in the marshes. These beautiful golf holes —12 through 15 — are connected by more than 800 feet of picturesque, elevated wooden cart bridges. 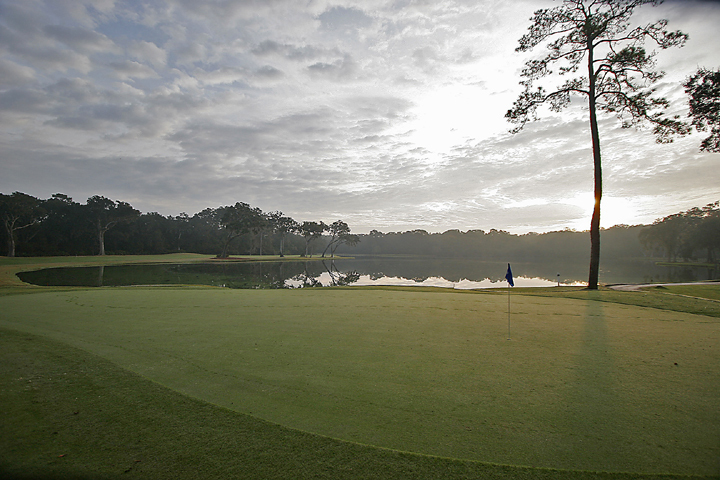 The finishing holes then wander through a lush forest of live oak trees. It’s one of those courses that golfers young and old dream about playing. And it’s all practically brand new with cutting-edge technology. Originally opened in 1989 and designed by the late Joe Lee, the course got a complete makeover in 2009 from architect Billy Fuller. It’s a restoration of the course’s original design but with the latest surface technology and strategic specifications to challenge both the scratch player and the weekend duffer. The King and Prince utilizes different grasses for different purposes. All 18 greens have mini-verde, ultra dwarf Bermuda grass, with 60-inch green collars planted with Tifsport Bermuda. All 18 fairways have a new hybrid called Celebration Bermuda grass. All the traps are wrapped in Emerald Zoysia. There’s also a 6,500-square foot mini-verde putting green, a 3,000-square foot mini-verde chipping green, and five target greens that have been added to the driving range. “We’re the only course in our region with these types of grass, and our golfers are amazed at the fantastic course transformation,” declared Rick Mattox, the golf club’s general manager. What most impressed me, however, is the course’s fairness. It is not a particularly long course — 6,462 yards from the back tees — and although challenging, the course is set up to reward the good shot. If you can “manage” your game, keep the ball in play, you can register a good score requisite to the level of your ability. Golf should be fun, and this course bears that in mind. There are five playing distances for the par 72 course — Old Ironside, Live Oak, Dogwood, Magnolia and Azalea — but the 19th hole is always a relaxing seat on the clubhouse veranda in the shade of trees dripping with Spanish moss. Even a bad round looks pretty good from that vantage point. 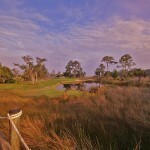 If you want to see for yourself, go to www.kingandprince.com on the Web and check out the course’s virtual flyover. Using the latest technology, there’s a computer-generated 3-D animation of each individual hole. You’ve probably seen similar computer generations on television. Most recently, this technology was used on telecasts of the Masters Championship in April. And the golf course is open to all. Members of The Hampton Club and guests of the King and Prince Beach and Golf Resort are, of course, always welcome, but the course is also open to the public, which means that any island visitor or local resident can get a tee time, too. There are 13 barrier islands lining Georgia’s 100-mile coastline, with Tybee Island at the north and Cumberland the farthest south. But St. Simons Island is the only one that was never privately owned. With its beautiful beaches, rustic rental cottages, lovely bed and breakfasts and wonderful hotels like the King and Prince, St. Simons has always been a favorite vacation destination for Georgians. Even for non-golfers. In fact, vacationers have been coming here since the 1880s, and when the Torras Causeway, connecting the island to the mainland, opened in 1924, tourism became the major player in the island’s economy. The island stretches about 15 miles from north to south and actually has a year-round population of more than 15,000. In fact, there are two elementary schools on the island, although middle school and high school kids must be bused to the mainland. The island has a little something for everyone, including a number of significant historical sites, fine dining and great shopping. There’s the friendly little village at the south end in the shadow of the island’s historic lighthouse, which is now the home of the Coastal Georgia Historical Society which operates a museum in the original lighthouse keeper’s residence. And over on East Beach, there’s the Maritime Center at the historic Coast Guard Station. There’s also horseback riding, swimming, hiking, birding, kayaking, fishing, and cycling among the myriad selection of outdoor activities. But this part of Georgia is golf country as much as any place in America. Augusta National, home of the Masters, is just 200 miles away. The home of the PGA, fabled TPC Sawgrass with its iconic island green, is only an hour to the south in Ponte Vedra, Fla., and golf mecca Hilton Head, S.C., is not much more than 90 minutes to the north. Just a bit farther north is the Myrtle Beach, S.C., area, perhaps the most popular golfing destination east of the Mississippi. 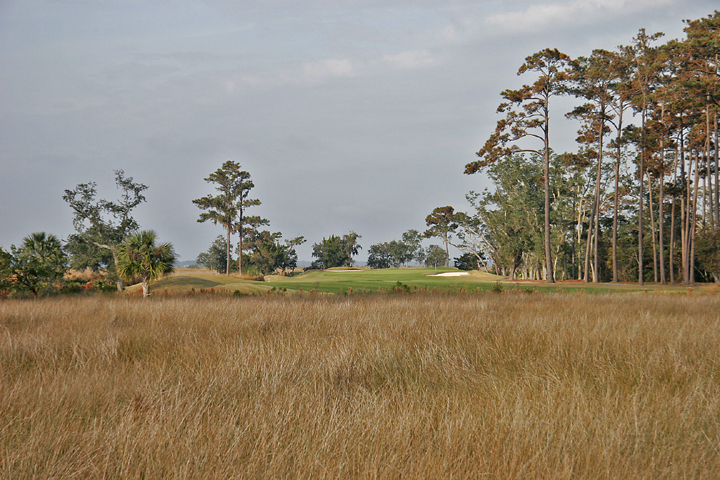 And the King and Prince isn’t the only golf course on St. Simons. 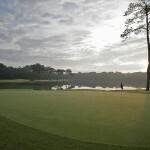 There’s also the Retreat Golf Course, the Sea Island Golf Club, which opened in 1928, and the Sea Palms Golf Club. At the entrance to Sea Island Golf Club, you’ll find the fabulous “Avenue of the Live Oaks,” a breathtaking stretch of beautiful old live oak trees in perfect tandem, planted by Anna Page King, who grew up on what was once the Retreat Plantation. She married a Philadelphia lawyer named Thomas Butler King, who went on to become an important 19th century Georgia politician. At the north end of the island, near the King and Prince Golf Course, is Fort Frederica National Monument, built by James Oglethorpe, a British general and founder of the colony of Georgia. He chose the site on St. Simons Island to defend the colony’s southern border against encroachment by the Spanish in Florida. The first and only battle ever fought at Fort Frederica was in 1742, when British forces pushed back the Spanish once and for all, confirming Georgia’s place among the British colonies. And we all know how much those Brits love to play golf. The Highwayman appears twice monthly in the Sunday Times. Comments and questions are welcome. E-mail The Highwayman at hwm4travel@comcast.net. 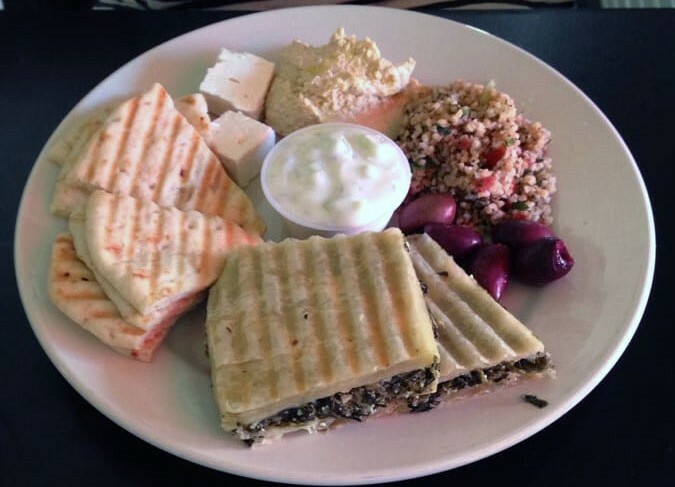 While visiting St. Simons Island, plan to have breakfast or lunch at the Sandcastle Cafe in the village, just up the street from the fishing pier. The Sandcastle has become a local legend of sorts, a feel-good story about Tim and Melissa Wellford. Down on his luck, Tim bought the little “hole-in-the-wall” establishment 21 years ago with a few hundred dollars, a promise and a dream. Tim and Melissa turned the cafe into the most popular breakfast spot on the island. Today, locals arrive early for coffee and stay half the morning. Visitors come in for Tim’s fabulous breakfast buffet. Tim and Melissa enjoy schmoozing with the customers, treating strangers like old friends and family. It’s a fun and tasty experience. 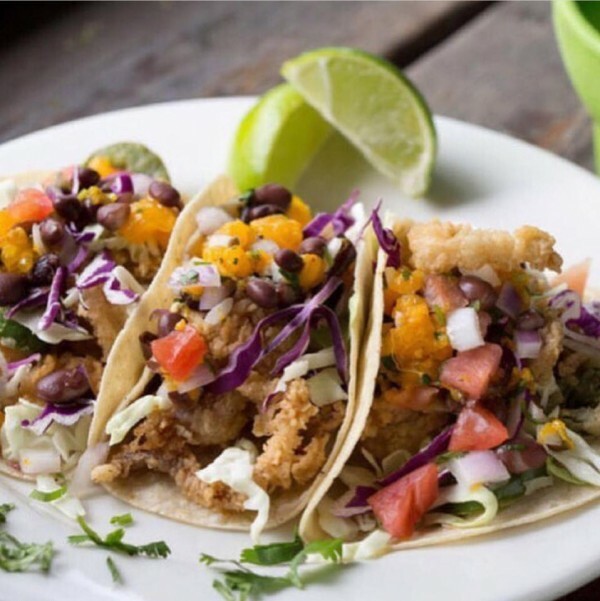 For a casual dinner and some authentic Southern cooking, you might want to try Gnat’s Landing in Redfern Village, a shopping area just off Frederica Road near the island’s midpoint. There’s plenty of live music and good food presented by another of the island’s local entrepreneurial celebrities, “Boz” Bostock. Upstairs at Gnat’s is Bubba Garcia’s Mexican Cantina — home of the $8,000 margarita. No, it doesn’t cost $8,000 … but it tastes like a million.